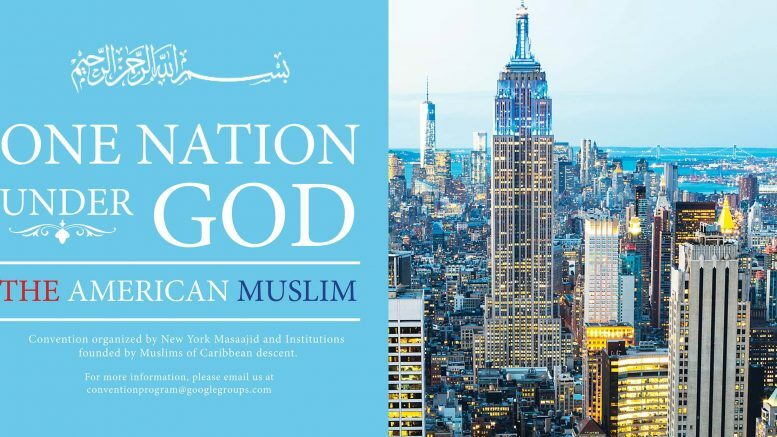 Compared to the annual conventions of ISNA, ICNA/MAS, the Caribbean Muslim Convention – “One Nation Under God: The American Muslim” – was at best a modest gathering of American and Canadian scholars and attendees of Caribbean background. 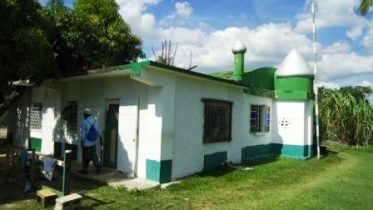 For nearly four decades there has been a near consensus among Muslims from the Caribbean that in order to succeed in their adopted homeland they had to shed as much of their cultural baggage as possible. This belief caused Muslims to treat core religious practices of their predecessors as an odious stench. But in the last 15 years, as the children of first and second generation immigrants began to come of age in North America, the issue of cultural and intellectual continuity has become a subject of vital importance. The engine of continuity for Muslims is the Islamic tradition. It is a living, breathing and thriving set of practices meant for people who are prepared to embrace change rather than resist it. Tradition is not to be confused with “traditionalism” which is best described as an ossified set of practices. The word tradition comes from the Latin term “traditio” which means to hand down from one generation to another. In the Islamic context, it refers to the illustrious example of the Noble Prophet Muhammad, ﷺ may the peace and blessings of Allah be upon him. How we pray, for example, is an integral part of the Islamic religious tradition, in that it has been handed down from the Beloved Messenger of Allah, ﷺ peace and blessings of Allah be upon him, to our generation in an unbroken chain for over 1400 years. When we pray, we do so like the Messenger of Allah ﷺ did, and we also ensure that our children and grandchildren, if taught properly, will likely follow in his footsteps. One can travel from the hundreds of islands that make up the Indonesian archipelago to the remote villages of Guyana and find Muslims men and women praying in almost identical ways. The continuity of the Prophetic tradition could only occur because Muslim scholars and ordinary people make incredible sacrifices to keep the tradition alive. Continuity Or Discontinuance and Disruption? Even in this relatively simple instruction, his “rahma” or mercy is abundantly manifest. Had he ﷺ said “pray as I pray” that would have been an impossibility for his ﷺ followers. The importance in the act of “seeing” commits us only to the Prophet’s outward actions, not the impossible task of imitating his inner state. No one will doubt that for nearly 200 years our parents and grandparents worked assiduously to hand down to us a copy of the Salah that is as authentic as any you might get in heart of Muslim majority countries. And for that we should be immensely grateful. The five daily prayers is the heartbeat of the Muslim community in whatever region of God’s earth believers happens to live. As parents we become alarmed when our children refuse to heed the call of prayer. Leaving off the prayer is a sin, no doubt, but a greater travesty is the severing of a bond that connects our generation to the very being of Prophet Muhammad, ﷺ may Allah’s peace and blessings be upon him. In one fell swoop we throw isnad to the wind and by doing so we unwittingly set the stage for an end to the edifice that has held the sacred tradition in place for hundreds of years. Only a spiritual vacuum is left and then the numbing noise of modernity with all its festering sores. To the extent that this condition exists, I’d venture to say, we are in many ways responsible for creating it. And by ‘we” I mean the first generation of Caribbean immigrants to North America who were responsible for introducing a toxic and alien idea that almost dismantled nearly 200 years of continuous practice of Islam in the Caribbean. Perhaps this virus was given a warm welcome as a desperate response to an ossified set of religious practices, i.e. traditionalism – wearing a particular type of clothes to pray, insisting on wearing a topi, making dua’ after the prayer to complete it, etc., but in the process we threw out the baby with the bathwater. We managed to discard isnad and with it the consensus of the great ‘ulema, the madhahib (madhabs) and their Imams who sacrificed their lives to preserve and transmit the Islamic tradition. Today, young men in Guyana and Trinidad insist they are following the Sunnah when they jam their heels against yours during salah. They say it prevents the devil from getting in-between brothers. Little do they know the devil is more at home between their thighs while they play footsie during the prayer. When pressed for a hadith, a Prophetic tradition in either Arabic or English to justify their actions, they are stumped as they are with an endless stream authentic religious practices they flippantly label bid’a (religious innovation). The result of this trend does not end with the salah, but it continues with the unraveling of the intellectual, ethical and spiritual traditions as well. 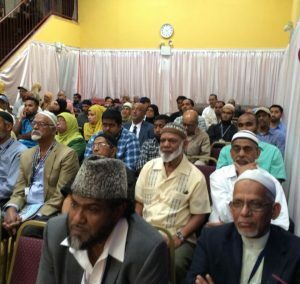 It is not surprising that in Trinidad and Tobago an estimated 170 men have left with their families to join the sadistic killers that call themselves the Islamic State of Iraq and Syria (ISIS). Those who are still alive spend a great deal of time on social media recruiting and threatening violence on the vast majority of Muslims in Trinidad who condemn and refuse to join them. The feeble minority has labelled the majority “murtad” (apostates). That’s what happens when we unhinge ourselves from the living Islamic tradition. The consequences will most certainly return to haunt us. 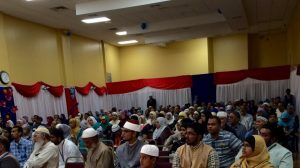 As dismal as the situation is today among Muslims both in the Caribbean and in North America, the New York convention affirmed that service to humanity is how we follow in the footsteps of Allah’s Beloved Messenger ﷺ , and it is the only way forward amidst the crisis of faith that seems to cast an ominous shadow over our lives. Nazim holds a Master’s Degree in Journalism from the University of Western Ontario and a B.A. Hons. in Political Science and History from York University. Between 1995 to 2005 Nazim pioneered a series of Rihlas and Deen Intensive programs in North America, Spain, Morocco and the first program in what eventually became a series of successful Rihlas to Mecca and Madina. He has been a regular contributor to Q-News International, Islamica Magazine and a number of other publications. He is an activist, a translator and interpreter of the message of Islam in the modern context, a khatib, a teacher, a mentor to many young Muslim men and women in the GTA and most of all a father and husband. Nazim has been named in The Muslim 500 – The World’s Most Influential Muslims. Nazim was born in Guyana. Be the first to comment on "Of Tradition And Continuity; Or Disruption, Discontinuance & Discord"